Your decision to purchase and use our my VIP Pass (VIP Pass) means that you agree to be bound by, and comply with, these terms and conditions (the Terms) as amended from time to time. As a purchaser of a VIP Pass, you will be required to have your photograph taken for display on your VIP Pass. As the holder of a VIP Pass, you will be entitled to an unlimited number of rides on the ‘Overboard’ and ‘Ginger Train’ rides (the Rides) for a 12-month period, commencing on the date that your VIP Pass was issued to you. Dates relating to the validity of your VIP Pass will be displayed on your Pass. Unlimited rides, does not mean continuous unlimited rides, during busy times you will be asked to re-queue. The Ginger Factory does not guarantee that the Rides will be operating on at all times during the validity of your VIP Pass. Rides may be closed for maintenance without prior warning. In the event of maintenance notifications will be posted on www.gingerfactory.com.au and/or www.facebook.com/thegingerfactory as soon as reasonably practicable. In the general interest of your own safety and the safety of other passengers, you must remain seated at all times when riding on the ‘Overboard’ and Ginger Train’ rides. This is an essential condition of ride entry and we reserve the right to refuse or restrict entry to The Ginger Factory and/or cancel your VIP Pass should you breach this condition. You agree that a VIP Pass is issued only for your individual personal use, and cannot be transferred, sold, loaned, given away or used by any person, other than the issued VIP Pass holder. We reserve the right to request alternative photo identification (e.g. driver’s licence, passport) to verify a VIP Pass holder’s identity. Your VIP Pass remains the sole property of The Ginger Factory at all times. In the event that your VIP Pass is not valid or cannot be presented for any reason, including, but not being limited to, your VIP Pass being lost, stolen, damaged or forgotten, your free access to the Rides will not be permitted. Failure to present a valid VIP Pass will result in a non-refundable charge of the ‘on the day’ admission rate applicable to any rides. In the event that you lose your VIP Pass, or it is damaged or stolen, you may apply for a replacement card. You will be charged an administration fee of $5.00 for this service. You are responsible for ensuring that all details that you have provided to the Ginger Factory are accurate and current at all times. If your details change or require amendment, please be sure to contact us so we can update your details. You agree that the Ginger Factory may contact you, via the electronic means provided at time of purchase of your VIP Pass. Such contact will usually, but not always, relate to service information, information about changes to these terms, and reminders in relation to expiry and/or renewal of your VIP Pass. The Ginger Factory will not use your details for marketing purposes, unless you have ‘opted in’ to receive such information at the time of purchasing your VIP Pass. You may opt out of receiving marketing and promotional emails by contacting us. 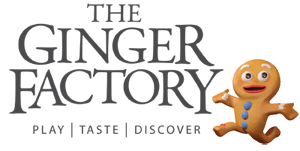 The Ginger Factory may amend or replace these Terms and the benefits associated with your VIP Pass at any time by sending you a notice to the email address provided by you at the time of purchasing your VIP Pass. Subject to clause 14, the Ginger Factory does not issue refunds for VIP Passes. Nothing in these Terms and Conditions is intended to operate to restrict your rights under the Australian Consumer Law, if applicable.